There has been a pumpkin lit up at the pedestrian crossing sign at the intersection of Alma and Sandwich Streets for years when the light is red and when the light is green, posing a pedestrian safety hazard and it is one more accessibility barrier to persons with disabilities; can the town not afford to fix it? 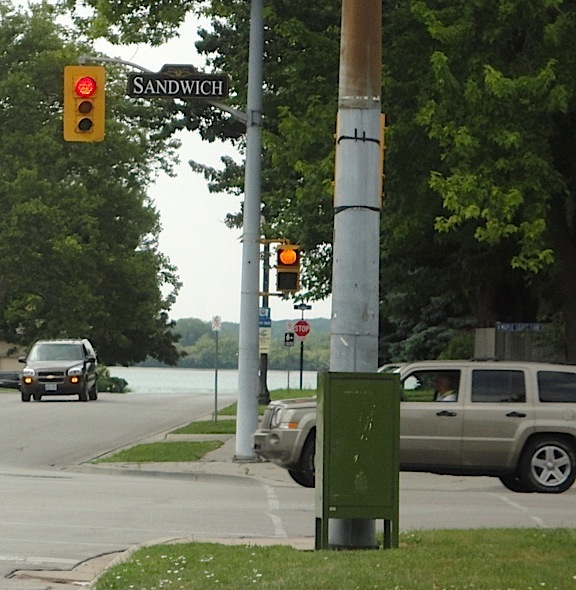 This entry was posted in Accessibility, Accountability and tagged amherstburg, Town of Amherstburg by theburgwatch. Bookmark the permalink.